The government has taken this decision keeping in view the falling onion prices due to increase in supply of new crop from major onion producing centres in Maharashtra, Gujarat and Madhya Pradesh. Prime Minister Narendra Modi-led government on Friday doubled export incentives for onion farmers to 10 per cent, in wake of sharp decline in onion prices in the recent weeks. "The government today increased the export incentives granted for onions under the Merchandise Exports from India Scheme (MEIS) from existing 5 per cent to 10 per cent in the interest of farmers," according to a statement released by the Ministry of Agriculture & Farmers Welfare. The move will result in better price for onion in domestic markets, the Ministry said. 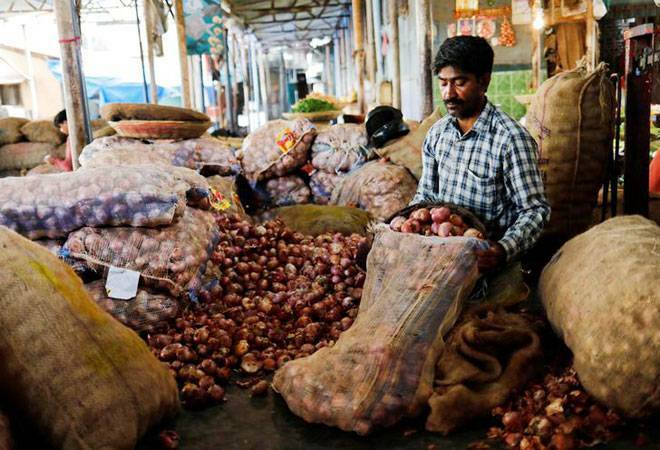 In a bid to contain the situation, the government has decided to encourage exports of onions so that the domestic prices stabilise, the Ministry said. The export incentive for fresh inions was zero before July, 2018. During July, 2018, the government had introduced incentives at the rate of 5 per cent. Now, with the current increase, onions enjoy one of the highest incentives for agro-exports, said the Ministry. The Ministry further said that this timely intervention would help the farmers who have recently harvested their produce and who have sowed their seeds, expecting better prices. In a similar development, the Cabinet Committee on Economic Affairs (CCEA) has increased the Minimum Support Price (MSP) for Fair Average Quality (FAQ) of "Milling Copra" to Rs 9,521 per quintal for 2019 season from Rs 7,511 per quintal in 2018. Among others, the CCEA has also hiked MSP of "Ball Copra" to Rs 9,920 per quintal for 2019 season from Rs 7,750 per quintal in 2018.